Solving the problem of plastic pollution in the world’s oceans has become complexed and divisive along very typical subject sidelines; industry versus environmentalism. When we discovered plastic microbeads in the Great Lakes, or our recent published global estimate of plastic pollution worldwide, attempts to solve the problem were met with collaboration, opposition, counter-campaigns, powerful alliances and language manipulation. In some cases, the differences are derived from the fast pace of evolving scientific information. There have been more publications on this issue in the last four years than the previous four decades. Some solutions, like efforts to clean up plastic in the middle of the ocean, are finding their ideas to be inconsistent with what we now know about rates of degradation, global distribution of microplastics and misinformation around early media-sensationalized images of the problem. What were thought to be islands of trash are more realistically a smog of microplastics. So, what we’ve learned is that perspective pays, with the advantage going to those that understand and implement good science. We are witnessing a global shift from the linear economic model to the circular economy, with plastic marine pollution being the testing ground. 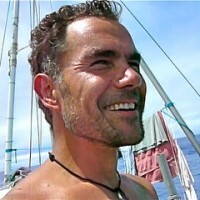 Marcus Eriksen is the Research Director and Co-founder of the 5 Gyres Institute. 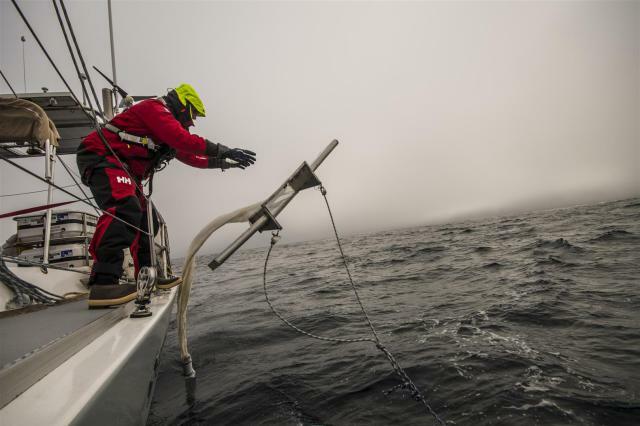 He studies the global distribution and ecological impacts of plastic marine pollution, which has included expeditions sailing through all 5 subtropical gyres, Bay of Bengal, Southern Ocean and inland lakes and rivers. Most recently he published the first global estimate of plastic pollution floating in the world’s oceans, totaling 270,000 metric tons from 5.25 trillion particles. In 2000 he traveled to Midaway Atoll, finding hundreds of Laysan Albatross with plastic pouring out of their stomachs and that experienced narrowed his focus to plastics. He received his PhD in Science Education from the University of Southern California in 2003, months before embarking on a 2000-mile, 5-month journey down the Mississippi River on a homemade raft of plastic bottles to bring attention to this issue. Again, in 2008 he rafted across the Pacific Ocean, this time floating in a Cessina aircraft on 15,000 plastic bottles from Los Angeles to Hawaii. The journey, 2600 miles in 88 days brought attention to the work of the 5 Gyres Institute, the organisation he co-founded with his wife Anna Cummins. He’s been seen on National Geographic, hosting the programme Mississippi River Quest and on the Weather Channel hosting the series Commando Weather. We must understand and define conservation and social justice as our collective self-preservation – a rationale that crosses all boundaries between all people. His first book, titled My River Home (Beacon Press, 2007) chronicled his Mississippi River experience, paralleled with his tour as a Marine in the 1991 Gulf War. The experience of war, sailing across oceans with wonderful crewmates and log rafting voyages have left to a strong conservation ethic worth fighting for.